This year’s 8th edition of 500-nautical miles Palermo – Monte Carlo regatta was marked by challenging weather conditions, with light winds as well as dead calms. 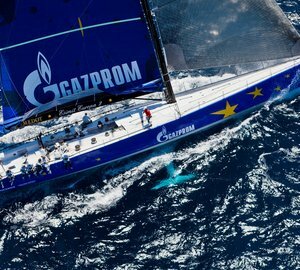 After 60 hours of competing, with average speeds up to a few knots, sailing yacht Esimit Europa 2 took the leading position less than 20 nautical miles before the finish line and took line honours at 02:47 AM CEST for the third consecutive year. Immediately after crossing the finish line, Igor Simčič, founder of the Esimit Europa project, congratulated the crew for high level of professionalism and doing their best to get the maximum from the yacht in difficult weather conditions. “This race was in every respect one of the most stressful ever experienced by the Esimit Sailing Team. Frequent dead calms during the entire course of the race and burning sun were testing conditions for the crew members. Therefore, I have to congratulate the team for their hard work to achieve the possible best of what the race allowed. I have been closely monitoring the race, and what I have seen from the crew members during this long and exhausting regatta truly impressed me. 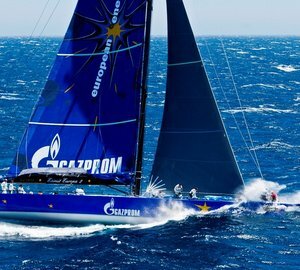 I am happy that these efforts resulted in the third consecutive victory at the Palermo – Monte Carlo regatta,” emphasized Igor Simčič, founder of the Esimit Europa project. This year’s regatta, organized by the Circolo della Vela Sicilia in collaboration with the Yacht Club de Monaco, marked the 8th edition of this sport event. 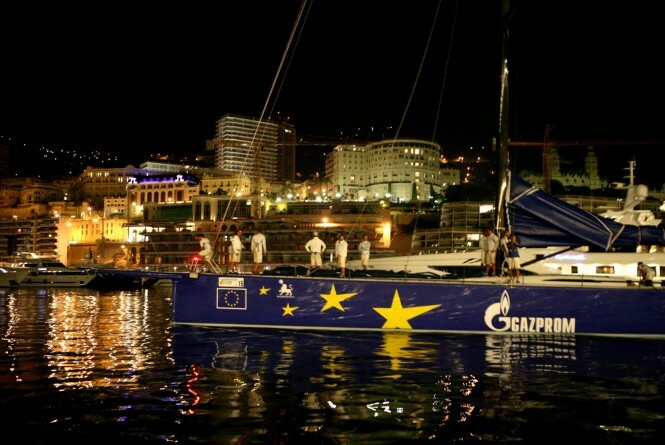 The prize-giving ceremony will take place on Thursday, 23rd August, at the Yacht Club de Monaco, Monte Carlo. Esimit Europa 2 has a busy schedule of races in September and October. The next races for superyacht Esimit Europa 2 will be the Maxi Yacht Rolex Cup, followed by the Bernetti Lombardini Cup, the Barcolana and the Rolex Middle Sea Race. 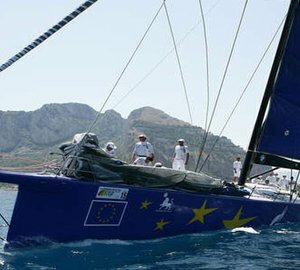 The Esimit Europa 2 yacht sails under the flag of the European Union, is registered in Cyprus, a member of Yacht Club de Monaco, competes for the Slovenian Sailing Federation and on board joins sailors from 7 different European countries. It is under the patronage of the President of the European Commission, José Manuel Barroso, and endorsed by Martin Schulz, the President of the European Parliament. 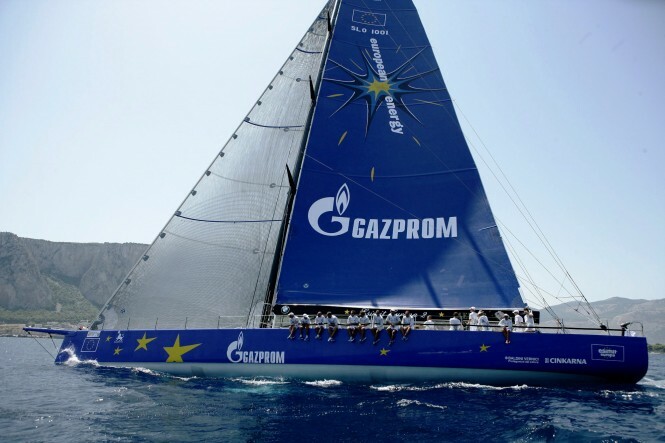 Its main sponsor is the global energy company Gazprom, while BMW is the official partner. Please contact CharterWorld - the luxury yacht charter specialist - for more on superyacht news item "Luxury yacht Esimit Europa 2 winner of the 2012 Palermo - Monte Carlo regatta ".